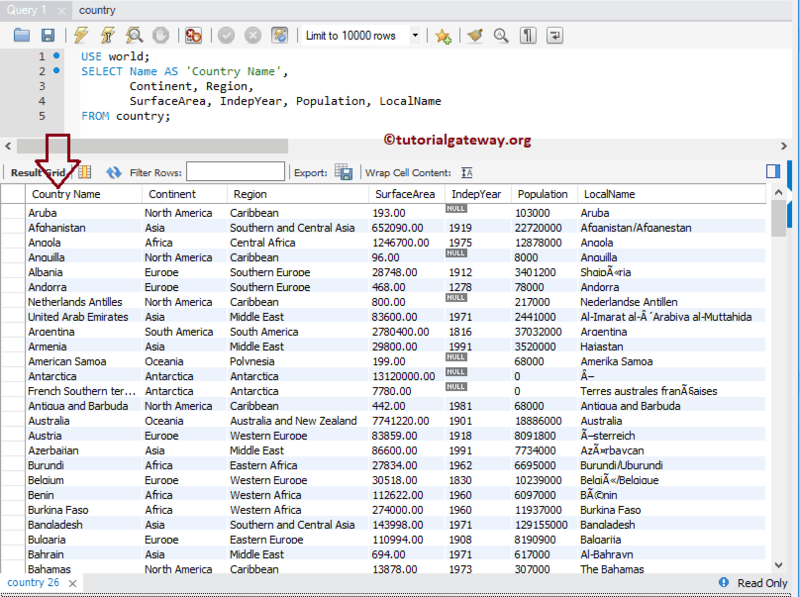 MySQL Alias keyword is used to temporarily rename the column names, or table names within a Database. Sometimes column names may not be user-friendly in real-time. For example we store First Name as either FirstName or First_Name. When user reads the data it will be annoying to see the column heading like that. So, while we SELECT the data, we use this Alias to rename them as ‘First Name’ or ‘FIRST NAME’. 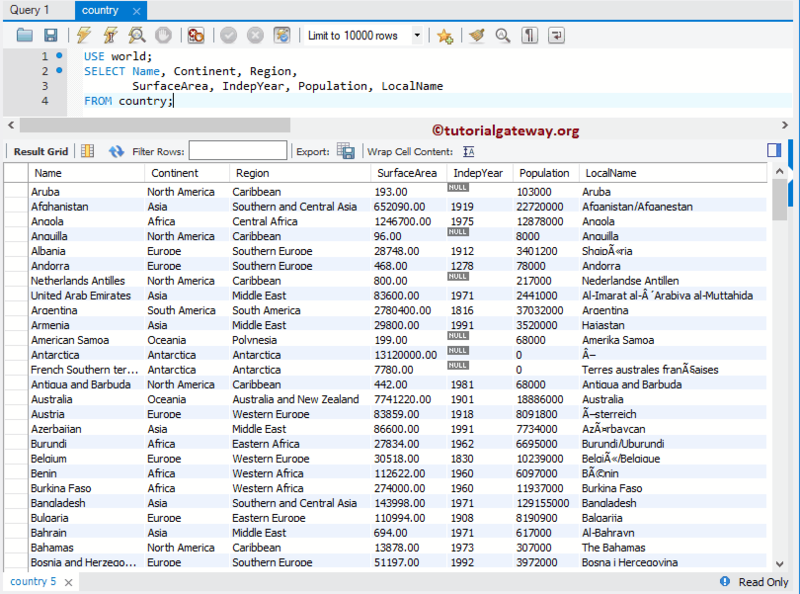 TIP: In MySQL Server Alias, AS Keyword is optional. It is up to you to include it or not. 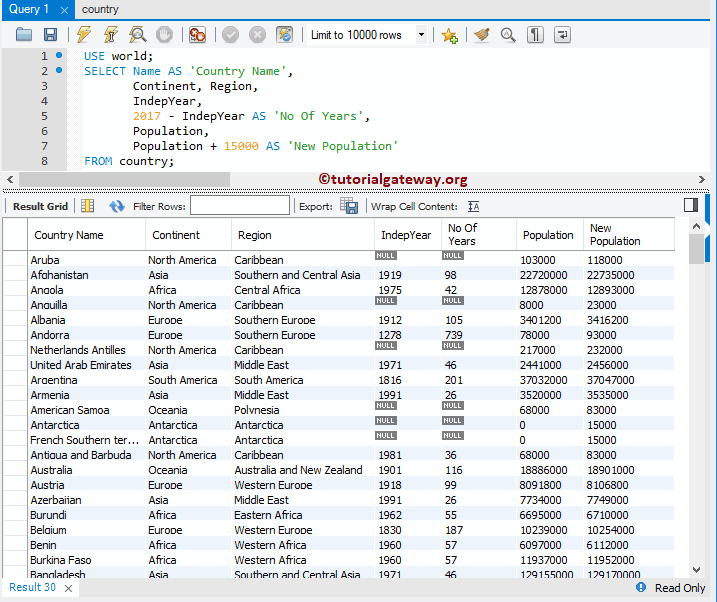 We are going to use the below shown data to explain the ALIAS Names with example. In this example, we are using the CONCAT string function to concat or combine the Name, and region. 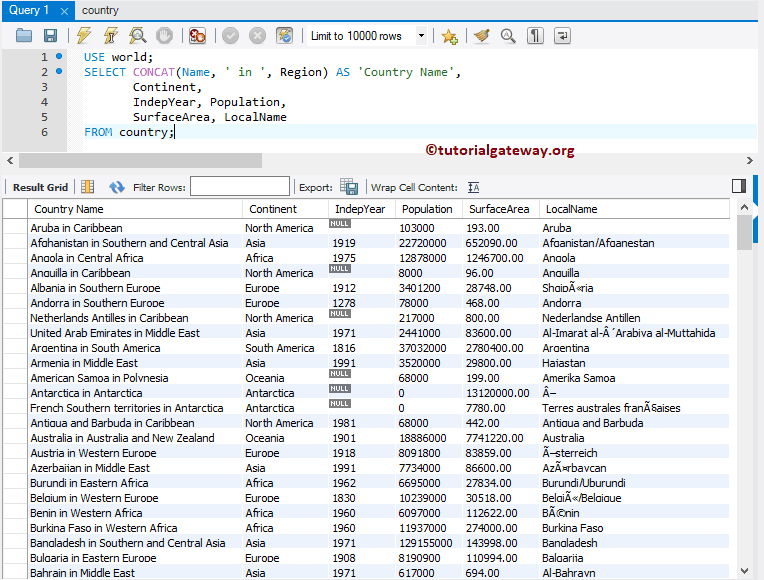 Next, we assigned the name as Country Name using alias column concept. We subtracted the Independent Year from 2017, and also added 15000 to each and every record of the Population column. Next, we renamed them as No of Years, and New Population using this Alias name. 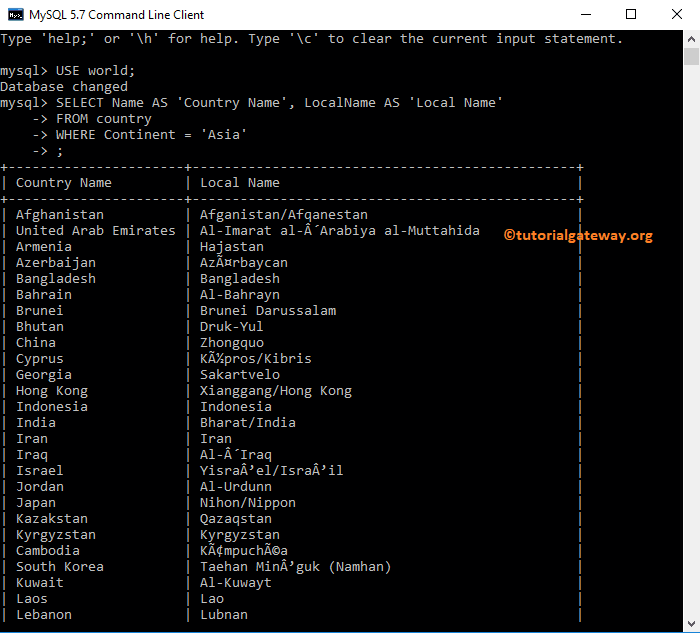 In this example, we will write a query in the Command prompt to demonstrate the Alias Columns along with the Where clause.